After all, Chevy Bolt seats are not that bad. Bolt owners generally speak positive about them and updated Bolt seats are already here starting the 2018 models. 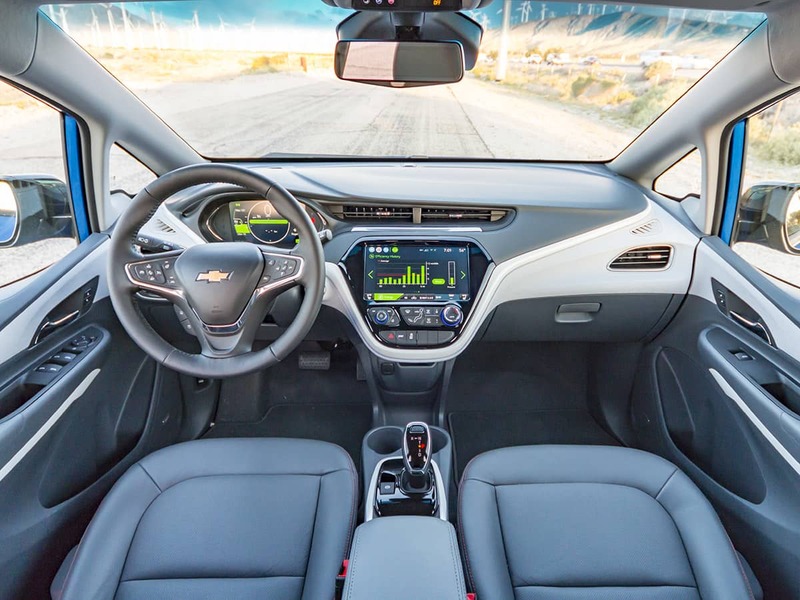 If you read Chevy Bolt reviews you will probably come across an opinion that the front seats are not so comfortable. In fact, last year in November there was an active discussion on Facebook about the new Bolt owners complaining about the quality of front seats. However, apparently they are not that bad and the more you drive the more you get used to the seats. Now, there is a new discussion in GM Electric Car Owners group on Facebook where Bolt owners speak positively about the quality of the seats: generally positively. But like we said in the previous story about Bolt seats, referred above, "hey, this is not a Buick." Compare apples to apples and oranges to oranges. In fact, according to GM Authority the seat quality is going to be resolved in 2019. In fact, they are already improved int the 2018 models. According to the article "GM Authority has spoken with Chevrolet and the brand clarified improvements between 2018 and 2019 Bolt EV models. Updated seats were introduced for the 2018 model year and carry over to the 2019 model." People write that after owning a Bolt for a little while they don't mind the seats and think they are very comfortable to for them and for their families. No complaints. But if you are a very heavy and very overweight person, any car seat in that segment will feel uncomfortable. "They are fine, but they do feel really cheap. Very little padding and they are pretty narrow," comments a user named Elizabeth, referring to Chevy Bolt seats in the group discussion. "I don’t find them horrible at all. I am 6’ tall and 215 lbs.," writes Charles. Some people stuff cushions under a seat and it gives a very good feeling of comfort. "I stuffed some cushions under a seat cover. It helps but they do tend to irritate my sciatica," writes Mark. Others, like Harvey, say they have removed the cushions. "At first we got cushions but after a year or so we finally broke in the seats or they broke us in. We don't drive more than 100 or so miles in one sitting though," he writes." "I would try out both the cloth and leather versions before you decide. Hated the cloth version (there’s a hard “box” that is in the left bolster that digs into my upper back). The leather version seemed to have more padding and is more tolerable, but is very narrow. I never had an issue with comfort in either of my ‘14 or ‘16 Volts," writes Ivan Jue who has contributed stories to Torque News. There are also some negative comments justifying the earlier reports that Chevrolet needed to upgrade the Bolt seats. "I am a small person and find them terrible! My back pain has gone up considerably since I got this car. I think for moderate driving it is fine but i spend 3-4 hours in the car a day. If you have the option for another EV with all else considered I’d seriously think about that," writes a user named Kristina. "Purchased the volt because the Bolt seats were not as comfortable as the Volt seats. I also prefer an all black dash," writes Donald. "I m not a fan of them. We've had them modified and augmented with after market cushions so it's a bit better now but not great. I suggest people test drive them extensively," writes Jason." Yet, keep in mind that Chevy has improved the starting the 2018 Model and it will be carried over to the 2019 models. "I wouldn’t say they are horrible. But they could be a bit more comfortable. I do notice they are more comfortable when the car is moving versus standing still (I.e. gridlock traffic). I got stuck in stop and stop traffic once and it really hurt. I could feel the seats digging into my thighs for a few days after," writes Uri. "Most seem to find them OK, but there is a significant percentage of owners who find them in a range from slightly uncomfortable to the 'seats of torture.' Clearly the seats are the number one complaint of those who have an issue with the car. I have never seen any other modern car have so many complaints about the seats. "The irony for me is that I went from a LEAF which had the lowest range of any car I’ve ever owned, BUT had the most comfortable seats of any car I’ve ever owned, to a car with great long distance range (for an EV), BUT has the worst seats I’ve ever sat in. You just have to try them for yourself to see if they fit you," writes Kelly. It takes some times to get used to them. "It took me the first 5,000 miles to break in the driver seat and get it adjusted correctly. After that the next 16,000 miles were flawless. No middle back pain. Suspension was way to bouncy on slightly unsmooth roads though," comments Randy. This seat issue is all over the place. Not much of a consensus it seems. But generally they are OK and they are upgraded in the newer models. You have to test-drive the Chevy Bolt and see it for yourself. If you own the latest Bolt model, please comment below how do you like the seats. I bought my much anticipated 2019 Bolt and love EVERYTHING about it, but the seats. The are still too narrow and have too little padding on the wings. Wish GM would offer to remediate this issue. I am hoping I will get used to it because it’s a wonderfully engineered vehicle.